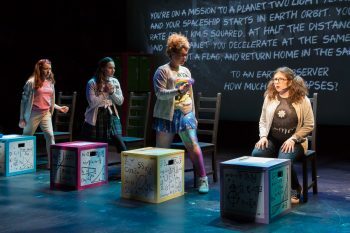 This addition to the New York Musical Festival hit all the right numbers with its charming story of friendship, budding romance, and working together in the face of every nerd’s greatest nightmare: public speaking. The songs are the stand-out in Numbers Nerds. They do what great show tunes do – express a character’s inner emotional state in a way that allows the audience to feel what they’re feeling. Numbers Nerds definitely succeeds in its mission, and will be a staple in the high school and college repertory for the foreseeable future. 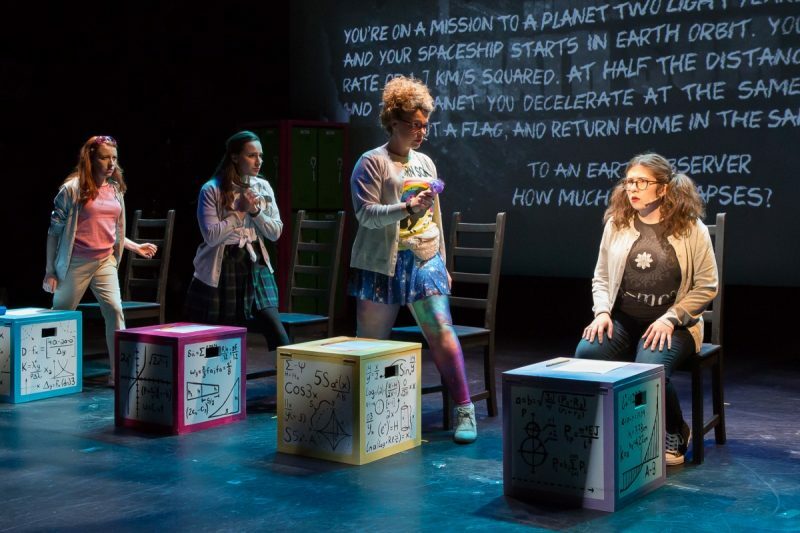 You need not know what a quadratic equation is to enjoy Numbers Nerds, the smart new offering at the New York Musical Festival that celebrates four high school femmes who prefer numbers to dating. 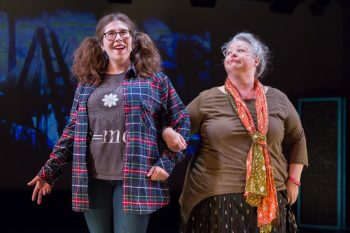 90 minutes of theatrical fun that features a likable cast, a cohesive storyline (book by Laura Stratford), and songs (music by David Kornfeld and lyrics by Alex Higgin-Houser) that you can count on to make you smile. The characters are fully-realized, replete with personality quirks and endearing qualities. Unlike some festival entries with their eyes on the prize of Broadway, this little musical aims at the school and regional market and it should have a long life. While bonded via their path to math, the smart characters are smartly diverse. Unlike many NYMF shows, this one isn’t visually anemic. Designs with numbers floating and kaleidoscopically dancing on the background screen, sketches of settings, role model/hero Albert Einstein’s face, wording of the complicating question that vexes Melissa, etc. Our eyes are engaged with each change and with color. 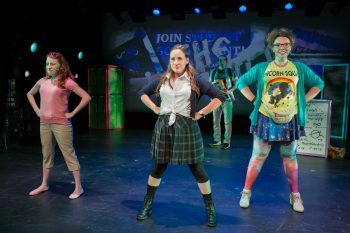 The many elements in Numbers Nerds “add up” to a terrific little musical that others of its ilk can’t equal. “Numbers Nerds” succeeds in being a very good product for the creator’s target audience and should have a long life in those outlets. Created in response to the call for more female roles available in the school and community theater circuit, this show succeeds in every way.